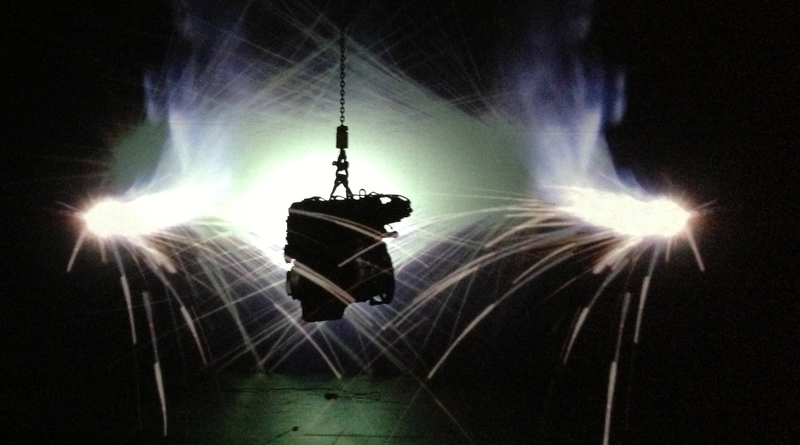 Racer (audio-visual Klejs & Rønsholdt concert piece from 2011) arises as installation on Click! festival in Elsinor may 2013 in a 4D Art Box! The artistic components in Racer is techno-beats, video and a car engine among more and constitutes the aim in a interactive experience – with holographic projection, sound, speed and steam.